Have you every just had a piece of shapewear fail you at the wrong moment in your life? You would think with all my experience with shapewear; I would have the upper hand finding the best ones. Welp, I got duped and recently and might I add, on the way to last month's Beyonce concert. So hang out with me for a moment while I tell you how to enter to win a piece of HookedUp Shapewear and share my recent story about my shapewear horror story. "Did you hear that?" That is me asking Desiree, about an audible ripping noise that just happened. Desiree and I take a restroom break (because women always go to the bathroom together) on our way to the Beyonce concert. She says, "What was that?" I answer, "I ripped my damn Spanx. I have a hole that is enormous and right in the center of my shaper, and I'm not going back to the house to change, AND I just purchased this one only a couple of months ago." I only pulled up my shapewear, and the middle ripped out. I think, "yes, I can make it okay. I am only walking a mile to the concert." It ended up being one of the worst miles of my life. The legs were rolling up, and the legs were rolling down because of the hole in the center. My inner thighs were touching plus the fabric friction had me headed to the world's worst chafe causing rash. This is something you can see it coming a mile away and your only thought is how can I prevent it. I honestly thought I was done with bad shapewear issues, but this got me. I found myself repeatedly adjusting the whole night. I thought about ditching them, but wanted to save it in case I found the receipt to return it. No such luck. Don't you hate when that happens? My shapewear was trying to keep me from seeing Queen Bey in full formation. Ugh! A couple of years ago, I came across HookedUp Shapewear and love it because...it stays up, no digging or pinching, and has amazing back smoothing that is great for those bodycon styles. HookedUp Shapewear's design hooks to your bra and won't roll down on you. It's been a go-to for me for a couple years now; I wish I was wearing that on my Beyonce night. Now for the good part. Have you ever wanted to get back at a shaper for ROLLING and ruining your date, party, wedding? Then it's time to get some closure! From June 9, HookedUp Shapewear is giving away one piece of HookedUp Shapewear every day for 25 days! 1) Upload an image below - or make a public post on Facebook, Instagram or Twitter - of you trashing the shapewear that failed you. Please use common sense while participating in this giveaway and DO NOT attempt anything that will harm you or others during the "trashing" of your shapewear. 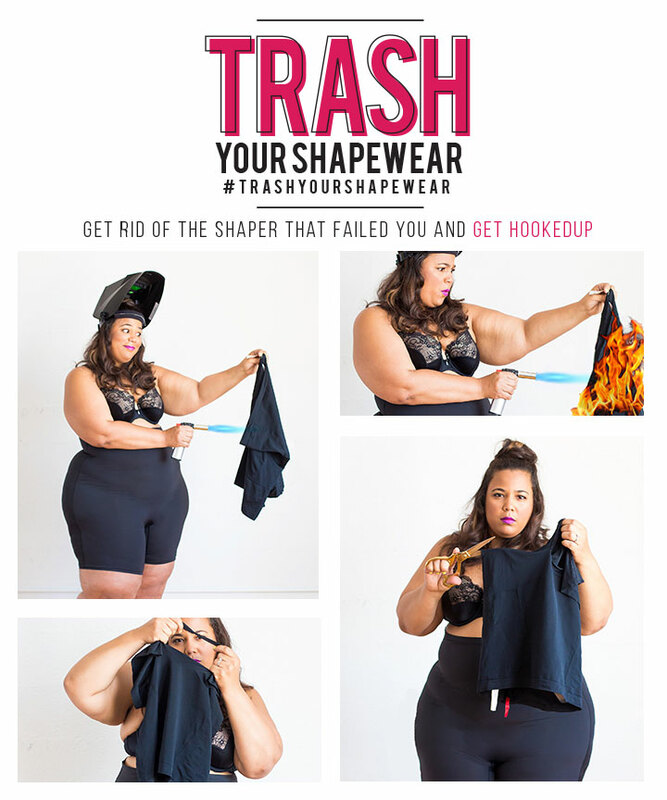 2) Tell us how it ruined your day and include the hashtag #trashyourshapewear. Plus, as a thank you for participating, HookedUp Shapewear will send you an exclusive coupon code for 30% off - so even if you don't win, you can still get HookedUp! 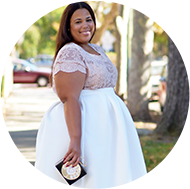 Don't have any shapewear to trash but still want to give HookedUp Shapewear a try? Throughout the giveaway, receive a special 15% off all styles and colors of HookedUp Shapewear with code HUS15 at hookedupshapewear.com. Check out how I ditched my shapewear and PLEASE DO NOT attempt anything that will harm you or others while you "trash" your shapewear. Good Luck! Thank you HookedUp Shapewear for sponsoring this super fun post, all opinions my own.